As representatives from Denver Public Schools and the Denver Classroom Teachers Association prepare for their final day of negotiations Friday, the union representing Denver teachers still plan to strike Monday. 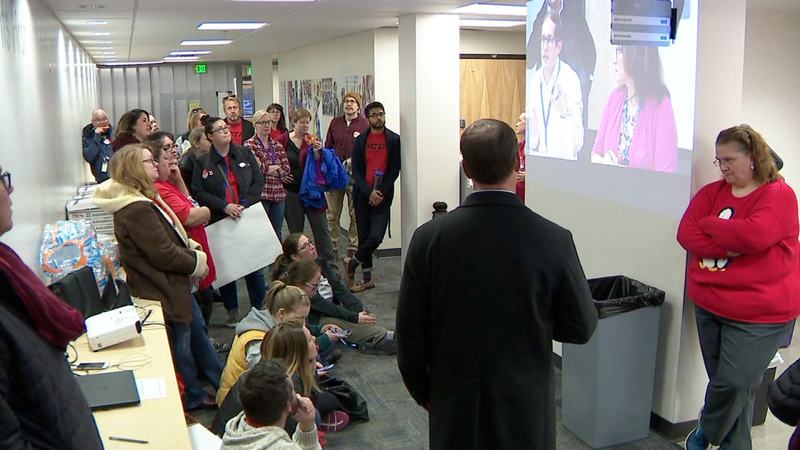 DENVER — As representatives from Denver Public Schools and the Denver Classroom Teachers Association prepare for their final day of negotiations Friday, the union representing Denver teachers appears to be moving ahead with a plan to strike Monday. The DCTA released a schedule Thursday showing Monday’s planned walkout is still on the union’s calendar. Educators will picket schools across Denver beginning at 7 a.m., according to a DCTA release. The two sides are expected to come together Friday evening for one last bargaining session before Monday’s strike. The main sticking point is increasing pay and lessening teachers' reliance on one-time bonuses. Union members announced Wednesday that educators would walk off the job after Governor Jared Polis declined to intervene in contract negotiations, hoping both sides will work through the weekend to come to an agreement. "This represents an 11th-hour opportunity over the next few days for both sides to close the gap over these limited, remaining issues," Polis said. DPS officials said they believe an agreement will be reached. However, union officials don’t appear to be confident that a resolution is near. "No teacher wants to strike, we would rather be teaching students in our classrooms," Denver teacher and association President Henry Roman said in a statement. "But when the strike starts, we will be walking for our students." The district will also be hosing three job fairs — Friday, Tuesday and Thursday — at its downtown headquarters to bring new teachers onboard. It would cost the district an estimated cost of $400,000 a day to keep schools operating with substitutes and administrators. However, school board member Jennifer Bacon said a strike would impact students the most. The union, which represents 5,635 educators in the Denver Public School system, has been trying to negotiate a new pay structure with Denver Public Schools for the past 14 months. In January, DCTA voted overwhelmingly in favor of a strike. The walkout has been on hold as the state decided whether to intervene at the school district's request. The labor department's involvement could have put a strike on hold for up to 180 days. 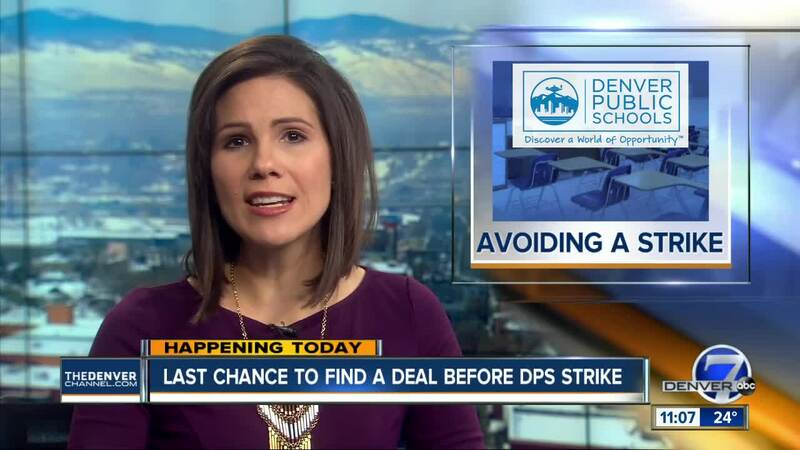 DPS has set up a website to provide resources for families to help them plan for a strike. DPS said among the most important things parents can do to prepare for a strike is to ensure their student’s contact information is updated in the Parent Portal and that medication information is up-to-date. Questions can also be answered at the Family Helpline at 720-423-3054.